I should start with a disclosure: I briefly worked with the author, Dr Yoni Freehoff at his weight management clinic in Ottawa, and I consider him a friend. That being said, I no longer work with him, he didn’t ask me to read or review his book, I didn’t even get a free copy! Okay, well, I kind of did, I borrowed one from the library. 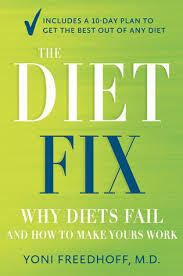 The book in question is The Diet Fix. Having worked with Yoni, and being a dietitian, there wasn’t anything in the book that was new or surprising to me. Basically, it was a refresher of everything we would cover with clients, minus specific nutrition information and individual concerns. In addition, I’m not someone who struggles with weight so it wasn’t of personal benefit to read the book. It’s hard to set aside my personal lens when writing about the book. However, as I was reading, I could think of several people I know who would likely benefit from reading The Diet Fix. Yoni provides a great overview of the information that’s imparted at his clinic in the book. For anyone who doesn’t have access to services provided by a place like the Bariatric Medical Institute, The Diet Fix is a decent stand-in. There’s a valuable emphasis on living the best life that you can and de-emphasis on the numbers on the scale. Many of us have developed unhealthy relationships with food and this book does its best to help the reader (re)gain a healthy relationship with food. While there is a section about “resetting” various diets, the book is not a diet book. It’s a lifestyle guide book. The problem with diets is that they always have an end date, and then what? Yoni doesn’t harsh on Paleo (even though it’s so easy and tempting) or Clean Eating or any other money-making diet out there. As long as you’re able to happily and healthily live the rest of your life adhering to whatever style of eating you’ve chosen that’s okay. 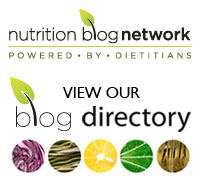 There are tips for how to make the most of any diet style. Fruits and vegetables also fall into the carbohydrate catchall. For the most part, they’re all wonderful. The only possible exception is the potato. Dr. Walter Willett, Harvard’s chair in nutrition since 1991 and the world’s second-most-cited scientist in history, once suggested that consuming one was akin to spooning pure white table sugar into your mouth. Who am I to question the wisdom of Willett? I will anyway though. Sure, many people consume potatoes far too frequently and in less than nutritionally optimal forms (i.e. chips and fries), however, it’s my belief that the potato is an under-rated vegetable. Minor quibbles aside, I enjoyed the last sections of the book the best. They addressed a number of issues, such as medications and raising healthy eaters, that most “diet” books would never touch. This makes it a great resource for anyone who wants to take charge of their health, impart healthy habits on their children, or who works with people who do. If you want to lose weight and don’t know where to start, if you’re a doctor or a dietitian, I definitely recommend giving this book a read. Tags: Bariatric Medical Institute, book review, diet, The Diet Fix, weight loss, weight management, Yoni Freedhoff | Permalink. Thanks Di! Truth be told, I’m quite fond of potatoes, and do note the word “possible”.